View New Kia Forte InventoryLooking for a compact car that plays and works that truly outdoes itself in every way, shape, and form? Meet the Kia Forte, a model where impressive performance, a spacious and comfortable interior, and the latest technology collide. 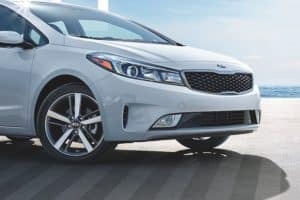 On this page, we at Sussman Kia have put together a comprehensive Kia Forte resource library, where you can read up on this model’s impressive capabilities. Shoppers in Jenkintown, Rydal, and Glenside should read ahead to learn more about what the Forte can do! In addition to these handy active safety features, you’ll also get a plethora of advanced connectivity features, starting with a touchscreen infotainment system that offers smartphone integration, Bluetooth®, and voice command navigation. This model can also be equipped with a wireless charging pad to ensure that you’re ready to go when you reach your destination. Apply for Kia financing online here! 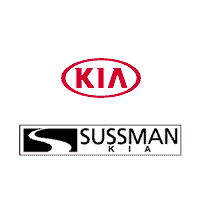 On this page, we at Sussman Kia are proud to provide you with all of the information you need to determine whether or not the Kia Forte is the compact car for you. Inside our many Kia Forte resources, you’ll find detailed descriptions of this model’s features. After reading through our guides, you’ll have a clear understanding of how this model can fit into your lifestyle. Once you’ve completed all of your research on the Kia Forte, we’re ready and eager to help you take the next step. Come down to our dealership to confirm that the Kia Forte is the one for you by taking a test drive with us. Then, sit down with our friendly finance team to discuss your payment options. Whether you want to buy or lease your next Kia Forte, we’re here to help you find a finance solution that you feel confident about. We’re here to make your buying or leasing journey as enjoyable as possible and see it through to the very end. We at Sussman Kia are thrilled that you decided to stop by today to learn more about the Kia Forte and how it can fit into your unique lifestyle. Now that you’ve had a taste of what this model can do for you, it’s time to come down to the dealership and confirm that this model is the one with a test drive. Contact us online to schedule a test drive! Shoppers in the areas of Jenkintown, Rydal, and Glenside can schedule a test drive in the Kia Forte today by giving us a call at the dealership! 1 EPA fuel economy estimates. Actual mileage will vary with options, driving conditions, driving habits, and your vehicle’s condition. These estimates reflect EPA’s revised coefficients beginning with some 2017 models. 2 Forward Collision-Avoidance Assist (FCA) is not a substitute for proper and safe driving, and may not detect every object in front of the vehicle. Always drive safely and use caution. 3 The Lane Keeping Assist System (LKA) is not a substitute for proper and safe driving, and may not detect every object around the vehicle. Always drive safely and use caution. 4 Smart Cruise Control (SCC) and Parking Distance Warning-Reverse (PDW-R) included in the EX Launch Edition Package. 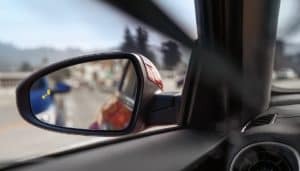 5 Blind Spot Collision Warning (BCW) is not a substitute for proper and safe driving, and may not detect every object alongside or approaching from behind the vehicle. Always drive safely and use caution when changing lanes. 6 Parking Distance Warning-Reverse (PDW-R) is not a substitute for proper and safe parking procedures, and may not detect every object behind the vehicle. Always drive safely and use caution when parking.